The most sought-after condiments today are those which add flavor and texture, are all-natural, and can be used in a variety of ways. BelAria spreads surpass these requirements. Made with the finest ingredients from the northern Italian region of Liguria, they can used as bread spreads, dips, sauces, in fillings, soups, and in bread baking. 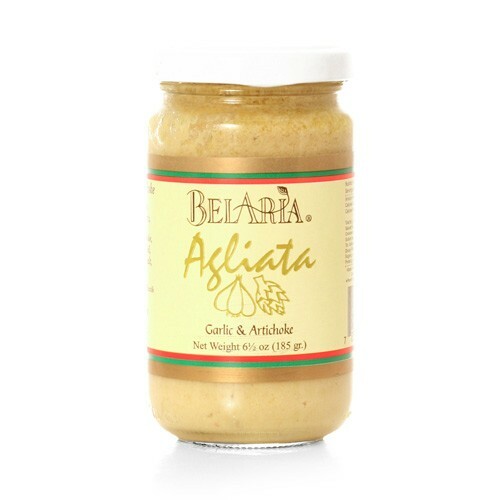 Agliata is a garlic and artichoke spread.